Bill Duckworth graduated from Rittman High School in 1954 after lettering three times in football and basketball, the only sports offered at that time. His coaches were Ashton Hall and Wes Peterman, both members of the Hall of Fame. Duckworth was a leader on and off the field, as he was Vice President of his class, President of the High School Recreation Council, received the Danford Award, was voted “most likely to succeed” and was named “most outstanding football player”. Duckworth was honored county wide when he received the first Most Valuable Player Award presented and was interviewed by WWST’s Roy Bates, another Hall of Fame member, on his Sports Review Program. After graduation, Duckworth was awarded a football scholarship to Ashland College (now University). He lettered four years for the team that was known as the “40 Hungry Hounds”. He was called the “hardest hitting 180 pound tackler he has ever seen” by his former coach, the late Bob Brownson. “Ducky, as he was known at Ashland, was a better than average halfback, an excellent defensive back, a very good blocker and an excellent leader on and off the field”, says a former teammate, Don Walker, on his nomination form. Teams Duckworth played on at Ashland compiled a record of 21-9-1, including two league championships. He was presented the “Sportsman Award” his senior year for his outstanding leadership, sportsmanship, and athletic ability. He was also selected as All League in his senior year. Duckworth graduated from Ashland in 1958 with a degree in Business. That fall he started his teaching and coaching career in the Barberton City school system. He coached at all levels, starting at Junior High, then the Freshman team, and finally as an assistant on the Magic’s varsity team. 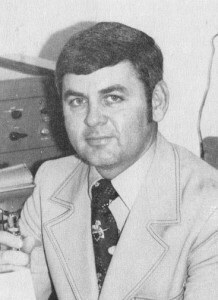 One of his former players, James Stewart, said he was fortunate to have played five years under Coach Bill, and confider’s himself one of “Bill’s Boys”. Rather than pursuing a career in coaching, however, Duckworth chose school administration. He received his Master’s from Akron University in Education while teaching at Barberton. He became a Junior High Principal and later was Associate High School Principal at Barberton High. Duckworth was killed in a hunting accident in September of 1980 at the age of 44. William K. Duckworth will be inducted, posthumously, into the Wayne County Sports Hall of Fame.